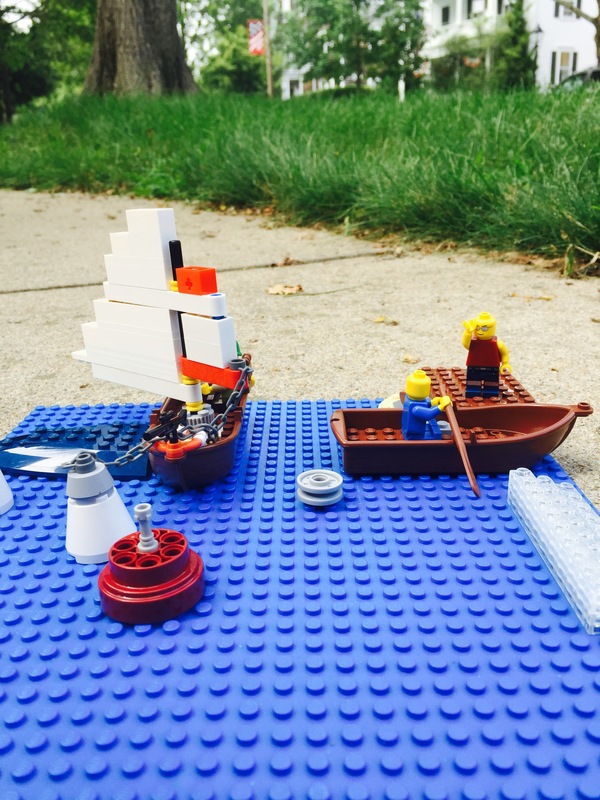 The scene is complete with a navigational buoy in the foreground. I like what the sailing school is teaching its young students, but now I’ll have to see if Stephen has smuggled a small cannon onto one of the HH12 1/2’s…. Charlotte brought Queen Elsa to visit her Scandinavian subjects, but it seems the Third Mate has other things on his mind! 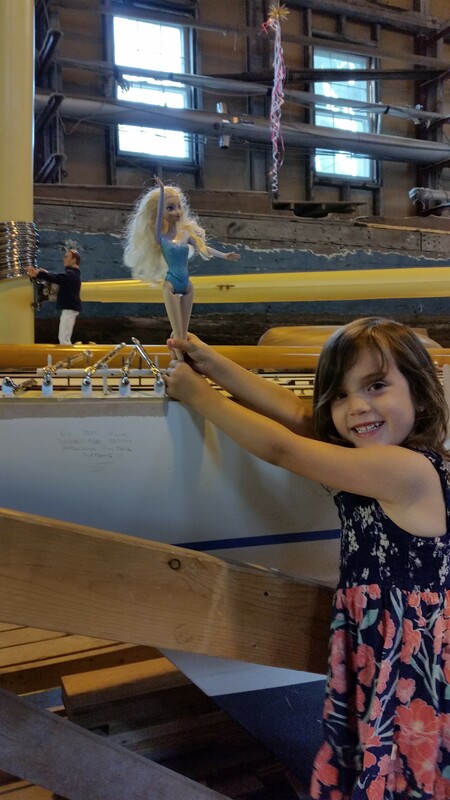 This entry was posted in Project Manager's Welcome and tagged America's Cup, building 28, cannon, charlotte, children, elsa, Herreshoff, Herreshoff Marine Museum, HMCo, RELIANCE, Reliance Model, RELIANCE Project, sailing school, steve, third mate on July 31, 2015 by Herreshoff Marine Museum/America's Cup Hall of Fame.